W. Mark Howell was born in the Parish of Portland, Jamaica West Indies. His musical talents were recognized at the age of 10 when his older brother, Alton Howell, noticed Mark playing a popular song on the piano that he had heard played on the radio. That incident prompted his mother, Bernice, to have formal piano training for Mark from his step-grandmother, Marian Howell. At the age of 13 after his step-grandmother’s death, Mark succeeded her as Organist and Choir Director of their church –Manchioneal Methodist Church. Three years later, Mark migrated to the United States of America and served as Organist and Choir Director for the Asbury United Methodist Church, Mt. Vernon, N.Y., a position he held for 13 years. 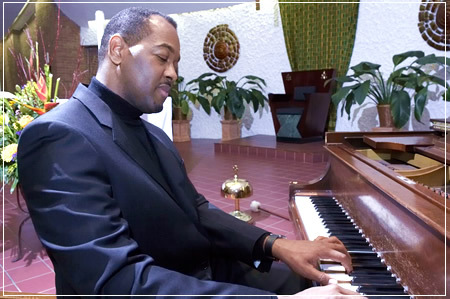 He later served as Organist and Choir director at the St. Stephens United Methodist Church, Bronx, N.Y. Mark has served as Minister of Music for 19 years at St. Charles Borromeo Church, Harlem, N.Y. – a very vibrant and active parish in the Archdiocese of New York. Mark is currently the Music Director for St. Augustine/Our Lady of Victory Church in the Bronx, NY. 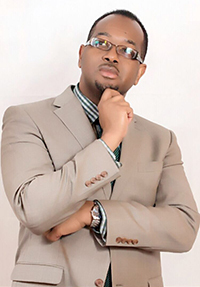 Mr. Howell studied at Herbert H. Lehman College in New York where he received his Bachelors Of Arts Degree in Business Management with a minor in Music. Mark also attended the Juilliard School of Music Evening Division, where he participated with the Juilliard Choral in performances in and around Lincoln Center. Mark also participated with this Group in the New York Philharmonic’s 150 Years Celebration –a Tribute to Leonard Bernstein – at Alice Tully Hall in 1993. Mark has also conducted and performed with his choir, The Mark Howell Singers at concerts at Carnegie Hall and Alice Tully Hall at Lincoln Center. Mark, an Organist, Pianist, Conductor, Composer/Arranger, has written several choral and solo pieces. Many of Mr. Howell’s compositions have been composed especially for those amongst his closest friends who happen to be singers / musicians. The works of this talented composer reminds one of Franz Schubert who often turned his thoughts and feelings about the events of his life into songs. It is so that one of his friends, a soprano, calls him Schubert. Schubert is also Mark’s favorite composer. The pinnacle of Marks’ Ministry of Music was achieved in September 2015 where he led a combined Choir of 54 Voices from St. Charles Borromeo Church/Chapel of the Resurrection in a Pre-Papal Mass Concert for Pope Francis. This was held at Madison Square Garden in New York City where one of Mark’s original Compositions, Unceasing Praise, was performed with a full orchestra and with his soloist, Carla Harris. 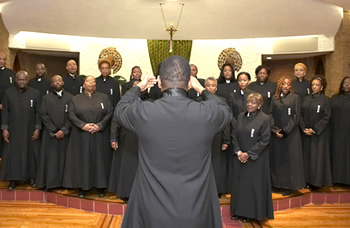 Mark, along with this choir, was also featured in the Wall Street Journal as well as on NY1 TV News station. For Holy Week of 2014, Mark was invited to Germany where he had the distinct privilege of performing for the Holy Week Service at St. Marien Church in Füerstenberg. One of Mark’s original compositions, his Communion Anthem, Here At the Table, was performed by the Choir of St. Marien Church and has been performed since at other venues in Germany. His other compositions, Be Still and Know, sung in English and German, as well as Midnight Blessings, were also performed and received with exuberant rounds of applause. In 2013, Mark has released his first CD, Here At the Table (Songs of Eucharistic Reflections). In 2012, he digitally released The Lord Is My Shepherd, a duet for soprano and tenor composed for the 50th Independence Celebration of Jamaica held at Riverside Church in New York City. In 2014, he released a single, From Up Above, in dedication to his mother who has passed on. Mark was also recently featured in the Magazine, Black Impact, which features unsung heroes who are making positive impact in the lives of others as well as to society at large. Mark gives all praises and glory to God for having granted him the gift of music that he asked for so diligently as a child.